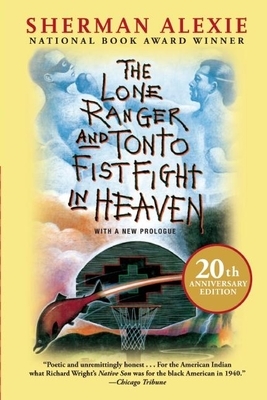 Sherman Alexie's celebrated first collection, The Lone Ranger and Tonto Fistfight in Heaven, established its author as one of America's most important and provocative voices. The basis for the award-winning movie Smoke Signals, it remains one of his best loved and widely praised books twenty years after its initial publication. Vividly weaving memory, fantasy, and stark reality to paint a portrait of life in and around the Spokane Indian reservation, this book introduces some of Alexie's most beloved characters, including Thomas Builds-the-Fire, the storyteller who no one seems to listen to, and his compatriot, Victor, the sports hero who turned into a recovering alcoholic. Now with an updated introduction from Alexie, these twenty-four tales are narrated by characters raised on humiliation and government-issue cheese, and yet they are filled with passion and affection, myth and charm. Against a backdrop of addiction, car accidents, laughter, and basketball, Alexie depicts the distances between men and women, Indians and whites, reservation Indians and urban Indians, and, most poetically, modern Indians and the traditions of the past. Alexie is a poet, novelist, and screenwriter. He has won the Pen/Faulkner Award, Stranger Genius Award in Literature, Boston Globe-Horn Book Award for Excellence in Children's Literature, and the Malamud Award.